Wahl Eversharp flat top mechanical pencil from the 1920s. It's 5-3/16" long, and quite slender. 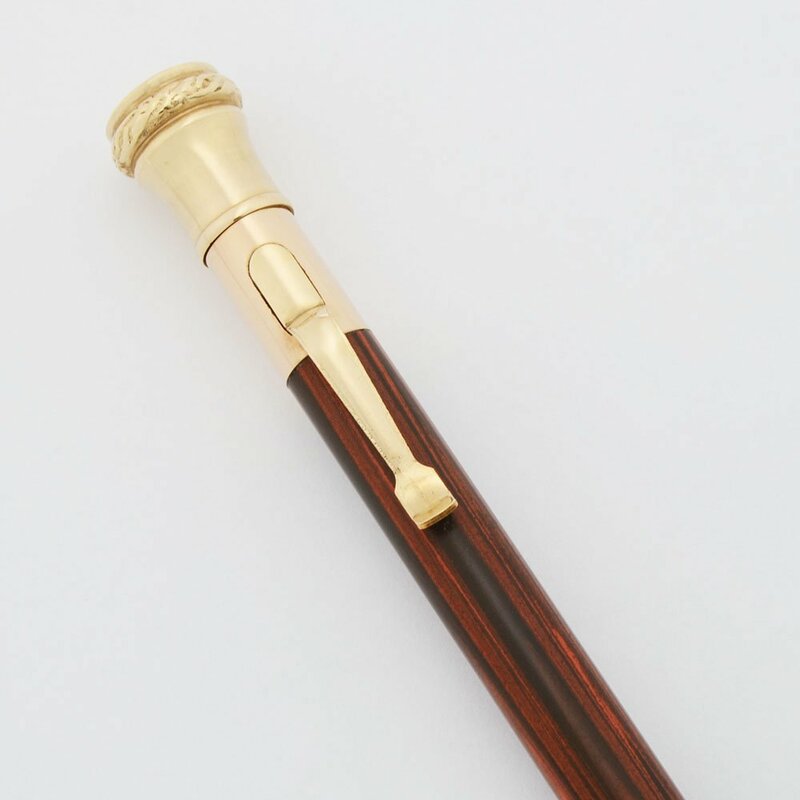 Rosewood finish with gold trim. Excellent condition. Product Name Unknown, it's an early flat top style pencil. Manufacturer and Year Wahl Eversharp USA - 1920s or '30s. Filling System Extends 1.1mm (or "thick") leads via the traditional twist-mechanism. We'll include a small packet of vintage leads. Like many Wahl pencils the leads require you to push them in in order to retract. Color Rosewood ebonite (hard rubber). The trim is gold plated, and the cone is chrome plated. Condition Excellent condition. The body has a couple of small, faint scratches on the upper barrel near the clip. The gold end-piece, barrel bands, and cone are all in good shape with no brassing (the cone is steel or some silver colored metal).This pencil is really quite beautiful, and working quite well.